I love giving small gifts to as many people as possible during the holidays. Even something small can show people how much you are care for them. This Rudolph Christmas gift is a great way to show someone you care without spending a lot of your time or money. 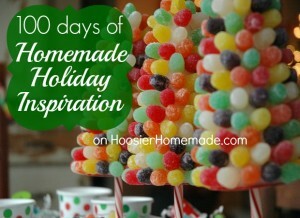 100 Days of Homemade Holiday Inspiration continues with Day 8! Each day we are inspiring you with recipes, decorating ideas, crafts, homemade gift ideas and much more! These would be great for teachers, classmates, coworkers, and as stocking stuffers. 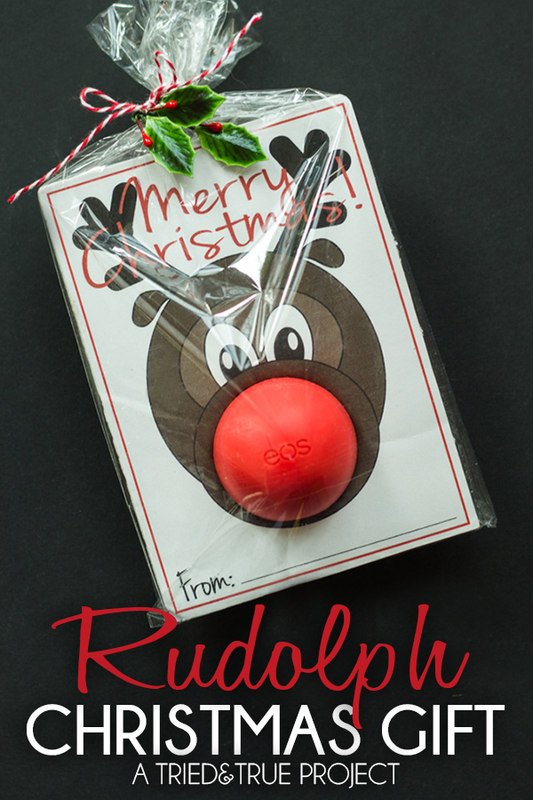 Like the post says, you could use red bouncy balls for little kid gifts, the lip balms as it originally mentions, or I think one of those red Kongs that pets love would be great in the middle for the pet lover in your life.